Last year lifestyle photographer Andy Smith was commissioned by Hogarth & Ogilvy to shoot for InterContinental Hotels Group. 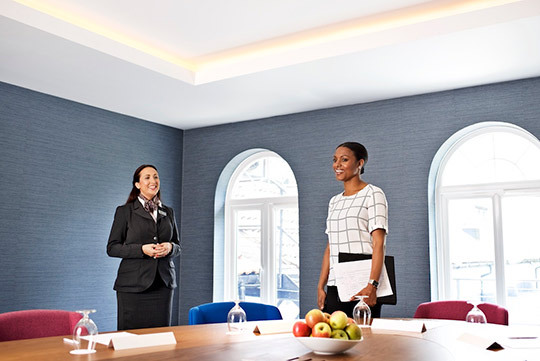 The brief for the shoot was to highlight IHG hotels as a location for business functions and meetings, capturing the staff in action while showcasing the hotels facilities and interiors. Using a combination of real staff and models, the shots have a very realistic and natural feel to them. It was a busy shoot day working at the Crown Plaza hotel in Buckinghamshire but the shots look great and fit the brief perfectly! Big thanks to the whole team involved. Hair and make-up by Claire Louise and styling by Helene Sivilia.